The Japanese American National Museum will hold its annual Oshogatsu Family Festival on Sunday, January 8, 2017, from 11 a.m. to 5 p.m. The New Year celebration will include free crafts, performances, and cultural activities for people of all ages to help ring in the Year of the Rooster. Ring in the Year of the Rooster with New Year-themed activities, performances, and crafts! 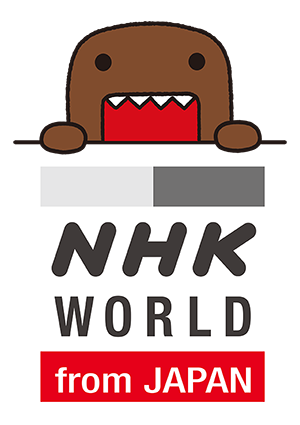 Help kawaii artist Sebastian Masuda fill two gigantic time capsules—one shaped like Hello Kitty and another like Domo, the official mascot of NHK! Bring a cherished personal item or write a letter to your future self, to be placed in one of the capsules. Masuda is traveling ten time capsules around the world, to be assembled for a major display in Tokyo in 2020 and then reopened in 2035. 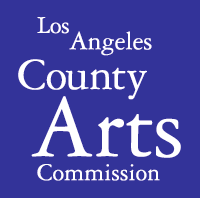 Presented in collaboration with The Japan Foundation, Los Angeles. Pose for a souvenir photo to take home. Special appearances by Domo at 11 a.m.–11:20 a.m., 12 p.m.–12:20 p.m., 1 p.m.–1:20 p.m., and 3:15 p.m.–3:35 p.m. Express Line for members! Cut and decorate a bouncy paper rooster. Using clay and beads, make your own replica of a kagami mochi—a decorative rice cake arrangement traditionally used to commemorate the New Year in Japan. Learn how to fold a paper rooster. Get to know the qualities of people born in the Year of the Rooster, as well as the 11 other signs of the Asian zodiac. Visit our core exhibition, Common Ground: The Heart of Community, and take a “selfie” with an artifact you find interesting. Show it to staff at the information table and explain why you liked that artifact or what you learned about it, and receive a prize! Prizes courtesy of Bandai, while supplies last. What does the future hold? Find out through this Japanese fortune-telling method. Bring your toddlers here to relax, play with other toddlers, or watch the animated Disney film Chicken Little, which will be playing continuously all day. NOTE: All children must be supervised by an accompanying adult at all times. See several different varieties of chicken—such as miniature Seramas, Silkie Bantams, Polish Bantams, and Giant Cochins—up close! Couresty of Farm Friendz. Express Line for members! Kidding Around the Kitchen will offer sample bowls of lucky zaru soba (cold buckwheat noodles) to bring good health in the New Year. Kids can top the soba with their choice of tofu, vegetables, and nori. While supplies last. Join us for a reading of Thank You Very Mochi, a delightful children’s book written by Paul Matsushima, Sophie Wang, and Craig Ishii and published by Kizuna, a Japanese American youth organization. A signing will follow the reading. Copies of the book are available at the JANM Store. Reserved seating for members! Shan Ichiyanagi will demonstrate the ancient, and now rarely practiced, Asian folk art of candy sculpting, as he makes candy in the shape of roosters and other animals of the Asian zodiac. Finished pieces will be raffled off throughout the day. Members get double raffle tickets! In this workshop open to JANM members only, learn to make a variety of onigiri (Japanese rice ball snacks) with Sonoko Sakai, author of the new cookbook Rice Craft (available for purchase in the JANM Store). Rice for this workshop is generously donated by Koda Farms, California’s oldest family-owned and operated rice farm and mill. Brian Kito of the renowned Fugetsu-Do Confectioners will demonstrate the fine art of making rainbow mochi. Reserved seating for members! Hear Sebastian Masuda, creator of the Time After Time Capsules, talk about his work, which will be on display all day. In this drop-in workshop open to everyone, learn to make a variety of onigiri (Japanese rice ball snacks) with Sonoko Sakai, author of the new cookbook Rice Craft (available for purchase in the JANM Store). Rice for this workshop is generously donated by Koda Farms. Bring the day to a rousing close with a dynamic performance by the Los Angeles-based group TAIKOPROJECT.